OKbridge, Inc. is an online bridge club dedicated to serving the worldwide community of bridge players by providing a fun online game environment, superior software, and excellent service. 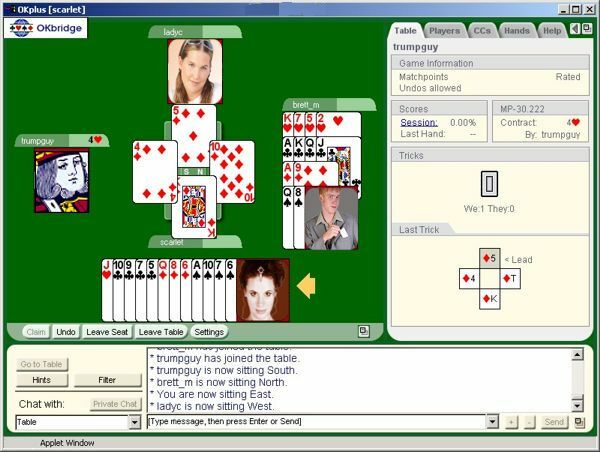 OKbridge was originally conceived in 1989 as a way of playing bridge online with partners that were separated by oceans. The first group of players were located in the US and Europe. 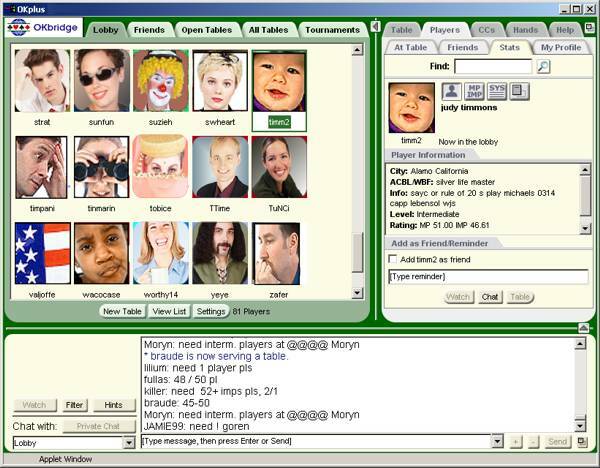 Following OKbridge’s public release in August 1990, the idea of online bridge caught on with warm reception worldwide. These new players sent OKbridge a steady stream of suggestions — many of which were incorporated into the program. As members brought in their online friends to play the game, the membership of OKbridge swelled. Due to increasing demands in supporting the online club, OKbridge conducted a survey in 1993 to determine if members would be willing to pay a yearly subscription fee to insure continued upgrades and support of the software, as well as, providing live customer service and other perquisites. The members approved of the idea and commercial OKbridge was launched in 1994. Today, OKbridge is a true global community of bridge players with members from over 100 countries, making it the world’s largest (and oldest) member-supported online bridge club. 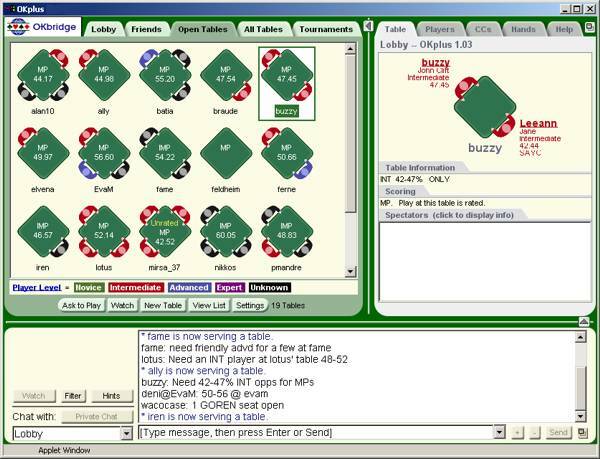 The OKbridge Members Club and game software is packed full of smart, advanced player-friendly features. You'll enjoy the benefit of what we have learned in over 25 years of providing an online bridge club. We have listened to our members, and respond by offering features and functions not found on other sites: . Play with your preferred scoring, including Matchpoints, IMPs and Rubber bridge. Enjoy the camaraderie of team games. Review all competitive hands at any time in the future. Meet compatible players on our partnership bulletin board. Compete with a rating system based on ability, not attendance. Fair play. We are dedicated to providing a bridge club environment where you can play without being subjected to poor behavior or questionable play. To ensure this, we have published rules of play, conduct and ethics that are strictly enforced by our world-class Conduct and Ethics team.